NEW YORK Sitting at his farm base outside Khartoum, Sudan, Osama bin Laden was presented with surveillance photographs of the U.S. embassy in Kenya and other potential targets for al Qaeda's first lethal strike on America. "Bin Laden looked at the picture of the American embassy and pointed to where a truck could go as a suicide bomber," one al Qaeda operative later told a U.S. judge as he pled guilty for his role in the terror conspiracy in Manhattan federal court. The target was retaliation for U.S. involvement in the U.N.-led peacekeeping mission in Somalia. captured on the streets of Tripoli on Saturday in a U.S.-led raid. Al-Libi was a trusted al Qaeda soldier who spent time with bin Laden when he was based in Sudan and then Afghanistan in the mid-1990s. 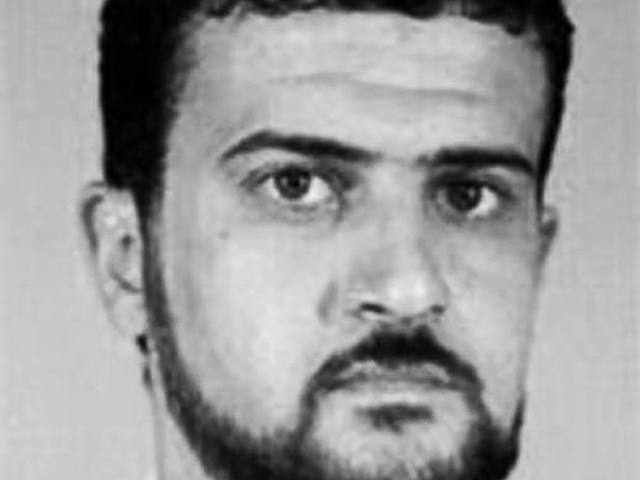 According to Jamal al-Fadl, the first al Qaeda insider to become a protected U.S. government witnesses, al-Libi was considered the group's computer expert. He was also a scout and planner for the radical Islamic terrorist organization's worst attack on American before 9/11. Al-Libi was among a trio who conducted surveillance as early as 1993 on the U.S. embassy in Nairobi, Kenya. They set up a makeshift dark room in the apartment of L'Houssaine Kherchtou, a Moroccan al-Qaeda member who served as bin Laden's pilot and flew fighters to fight UN-led forces in Somalia. "They took that sitting room and they closed it with blankets, closed the windows, and they were using it to develop pictures," later testified Kherchtou, who became a cooperating U.S. government witness in the embassy bombings case. He said he once saw al-Libi carrying a camera on Moi Avenue, a street in downtown Nairobi where the embassy sat. Five years after the surveillance, an al Qaeda truck bomb detonated at the embassy and killed 213 people, including 12 Americans, and injured several thousand people on the morning of August 7, 1998. A twin truck bomb 10 minutes later detonated at the U.S. embassy in Dar es Salaam, Tanzania, killing 11 people. By then, al-Libi was on the run. Living under the alias Nazih Al-Raghie, he had relocated to England, gaining entry under a political asylum claim that he was persecuted under the regime of Muammar Qaddaffi. After claims for the East Africa embassy bombings were faxed from locations in England, Scotland Yard stepped up its assistance in the probe. In 1999, British police raided an apartment in Manchester where al-Libi had lived. He left behind a laptop that contained a document that would become known as the "Terror Manual." Written in Arabic, it translated into an 18-chapter, 180-page opus called "Military Studies in the Jihad Against the Tyrants." The manual covered terror tradecraft from forging documents, writing in code, establishing a safe house to assassinations with a knife, a blunt object, rope, bare hands, or poison. "The substance Ricin, an extract from Castor beans, is considered one of the most deadly," the manual said in one excerpt, suggesting an injection. Al-Libi became one of nearly two dozen men indicted in the embassy bombings case whose list of defendants once included bin Laden and still includes his successor as al-Qaeda emir, Ayman al-Zawahiri. Trials, killings, and captures caused the list to dwindle, but for 14 years Al-Libi evaded his fate. The FBI placed him on the Most Wanted Terrorists list when it was created one month after 9/11. The black and white image circulated by the U.S. government over the years is a passport photo recovered from his Manchester apartment. There was a $5 million reward for information leading to his arrest. Al-Libi is not the first notable al Qaeda fugitive captured or killed in Africa. In June 2011, the operational leader of the Kenya embassy bombing, Fazul Abdullah Mohammed (aka. Harun) was killed in Somalia. A federal jury in New York convicted four men in the first embassy bombings trial that ended in August 2001. All four men are serving life sentences without the possibility of parole in Colorado's "supermax" prison. serving a life sentence imposed by U.S. District Judge Lewis Kaplan. finally extradited to the U.S. and are awaiting trial in New York. Another notable al-Qaeda suspect awaiting trial in federal court is Sulaiman Abu Ghayth, a former bin Laden spokesman and son-in-law, who was brought to New York in March and faces terrorism conspiracy charges. If al-Libi faces a criminal trial, it is possible the government would seek to put al-Libi, Abu-Ghayth, Al-Fawazz, and Abdel Bary on trial together, as all are part of the same evolving indictment in the Southern District of New York, whose docket is the domain of Judge Kaplan.